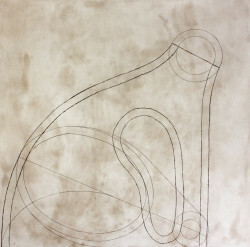 Flatbite, aquatint, drypoint, softground, 43 x 41 inches. Edition of 40. $5000. 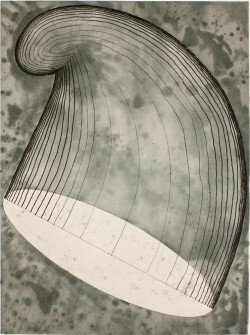 Softground, spitbite, aquatint and dry-point etching, 35 x 28 inches. Edition of 40. $5000. Softground, spitbite aquatint, drypoint and hardground etching with chine collé gampi, 24 x 39 1/2 inches. Edition of 40. $5000. 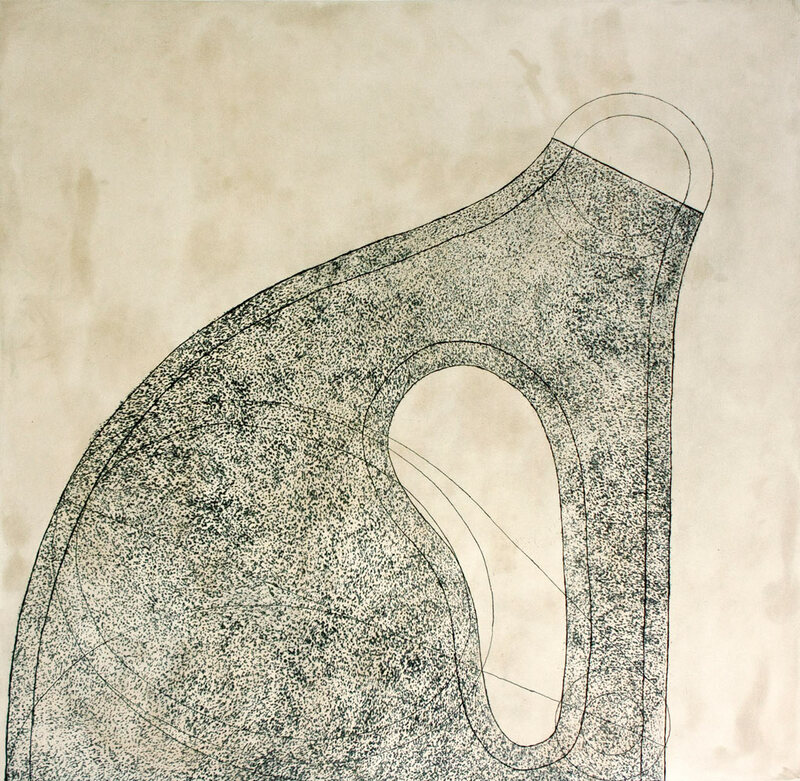 Softground, drypoint and spitbite etching, 43 x 41 inches. Edition of 40. 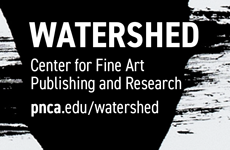 All printed and published by Paulson Bott Press, Berkeley, CA. $7000 each. 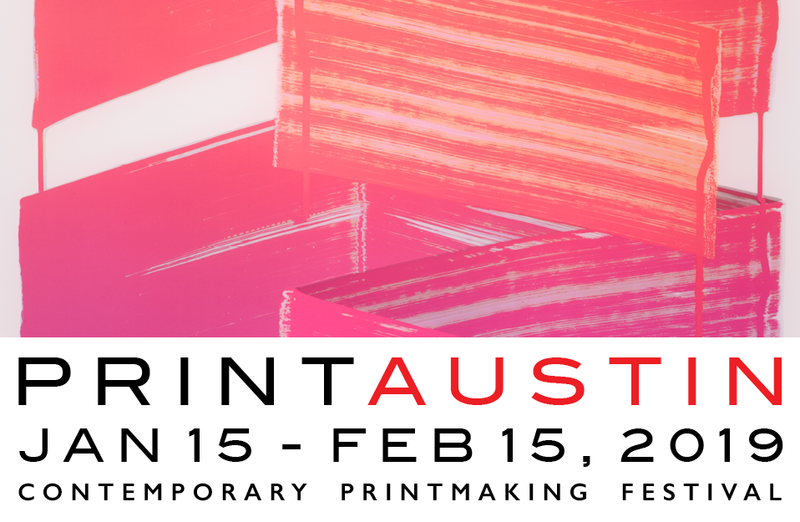 Sculptors make prints for many reasons. For Henry Moore they were an extension of drawing, a place to record ideas or explore the intricate caverns of an elephant’s skull; Joel Shapiro reorganized the press bed as a sculptural playground; Richard Serra identified an array of substances—pigment, paper, oil—that could be massed and manipulated. Martin Puryear’s prints touch on all these strategies—the template as a sculptable thing; ink and paper as specific presences; drawing as a road to understanding—but he also recognizes in prints an allusiveness that reflects his own complex, discursive understanding of history. Puryear is one of the most inventive artists of his generation and one of the most ruminative: flipping through a catalogue of his work is like following a set of musical motifs over the course of a symphony, catching hold of the connections despite transpositions in key or instrumentation. These connections are both confounded and enriched by the breadth of Puryear’s mastery of materials (woodworking, stone-laying, wire-mesh-making and more) and his wealth of references. He has lived and worked in Europe, Africa, Asia and the Americas; he has studied furniture making and falconry. 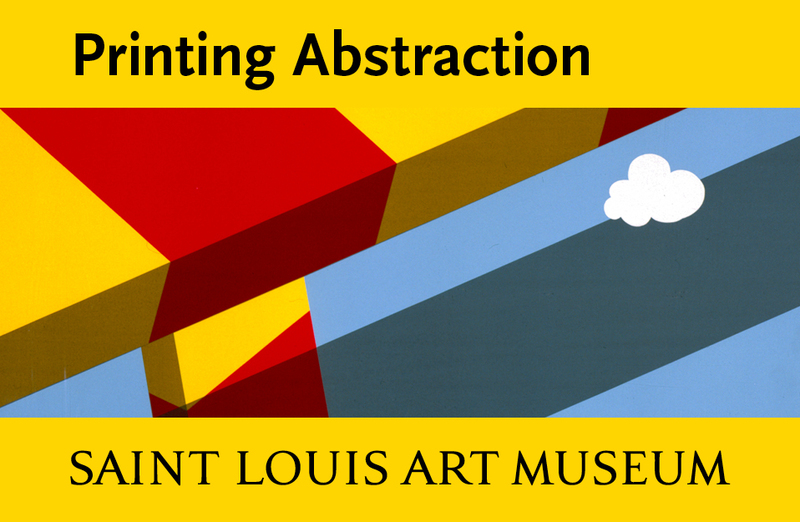 Puryear’s relationship with printmaking is complicated. It was the subject he studied at the Swedish Royal Academy of Art, where it led him to new ways of working: “It might have been the different ways of incising, which is a kind of carving, that got me considering again the way things are made,” he has observed.1 By the time he landed at Yale in 1968 he was a sculptor. Martin Puryear, Lean To (2012). Martin Puryear, Untitled VI, state 1 (2012). Like his earlier Paulson Bott works, each of the new prints reconsiders a single element that has been part of Puryear’s formal syllabary for decades. Diallo (2013), several years in the making, exhibits a deep understanding of its materials: the ferric furriness of the central shape was achieved by flat biting the copper template with acid that puddled and pooled in semi-controlled ways. Elsewhere the copper was worked by muscle: cutting, burnishing, scraping with tender violence. Two luminous orbs show where the metal was polished smooth; the bright white teardrop is a hole sliced through the plate. Untitled VI, state 2 (2012). The fun-with-French-curves jug outlined in the two Untitled VI prints is specific and quixotic, but also not entirely new. 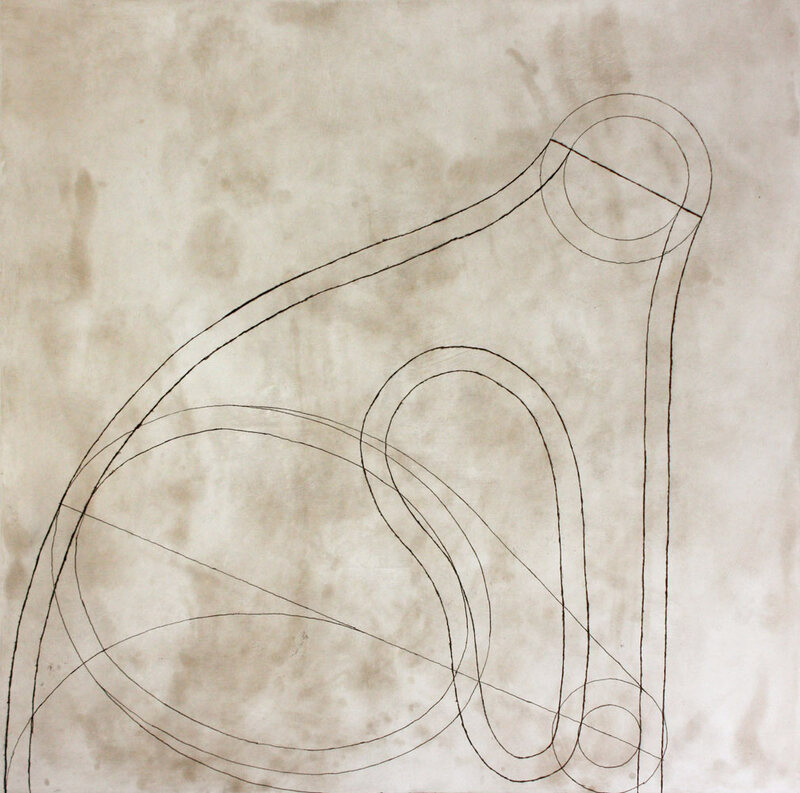 A near mirror image can be seen in a decade-old drawing, which in turn echoes the carved wood component of Untitled (2005), a sculpture whose asymmetry suggests a wood-footed basket tipped on its side. The collision of flatness and volume is a persistent feature of Puryear’s work—in the sculpture the transparent fullness of the “basket” allows viewers to see through and understand the complete form, even as the (relatively) planar wood component tempts us to read it as a flat image. The schematic lines of the prints, looping like figures cut in ice by a talented skater, articulate forms along two axes: a not-quite-isometric meeting of the picture plane and an angled transverse plane whose lines seem to show the elongated ovoid footprint of a three-dimensional shape. On the one hand it is a paradigm of delicacy; on the other it could describe something very big. The sculptural content of Lean To (2012) is more explicit. With its clearly depicted fieldstone (a material Puryear frequently employs in outdoor works) and multiple views, it clearly explains a three-dimensional object: a bent tumulous sliced diagonally like a wedge of Bundtcake. 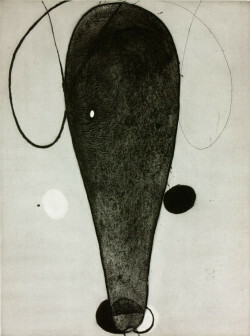 The surface tone that Puryear uses to turn an image (lines on a background) into a thing (ink on paper) is missing here. Gone also is the notion that we are looking at abstraction. The viewer is instructed not simply to appreciate marks on a page, but to imagine an object in space. Rendered on paper, however, the Bundt cake is revealed as a variant on the bifurcated arch that has been cropping up in Puryear’s work—sculptures, drawings, prints—since at least 1966, when it appeared in an etching called Gate. Prints are different from sculpture. It is—in theory at least—possible to approach sculpture phenomenologically, to address one’s attention exclusively to the specific materials, weights and tensions of the thing before us. Prints don’t have that clarity. They are always bifurcated, sliced into layers of presence and absence: print and template; image and material; picture and margins. Further complicating the situation is the ease with which we forget all of this and talk about the image as if it existed apart from the ink and paper and the long-gone template. The historic and strategic importance of the print is a product of this absence/presence dichotomy; it made possible the delivery of knowledge about something that was somewhere else. Phrygian’s basic form has relations in (among many other works) the listing projectile of Self (1978), the open woodwork of Bower (1990), the tarred wire mesh of Untitled (1990), and eloquent lines of the etching Untitled II (2002). In each instance, the personality of the shape is entirely different: the low-slung dynamic lattice of Bower suggests a surging wave while the erect, brooding Self is reminiscent of the Groke, the soul-sapping scourge of Tove Jansson’s Moomin books. With the title “Phrygian,” Puryear directs the viewer to read the shape as a hat and, furthermore, to attach to that hat the freight of French Revolutionary sartorial symbolism. A print like Lean To offers a picture of an absent object while works like Diallo seem focused on the specific materiality of the print itself—paper and ink, manipulated by copper. But anyone with a knowledge of Puryear’s work will read through the paper and ink to its many antecedents, friends and relations, just as anyone with a knowledge of history will overlay upon the floppy grey inverted cup of Phrygian the blood and hope of revolution. This conceptual muddiness of prints may account for the many years Puryear steered clear of them, preferring to focus on the inherent qualities of things-in-the-world. It may also account for his eventual return to printmaking. What looks like mud one year may look like rich alluvial soil the next.